BRIAN FEES/For The Sun-Gazette Penn State’s David Taylor celebrates his victory at the Final X in State College on Saturday to earn a spot on the United States Worlds team. 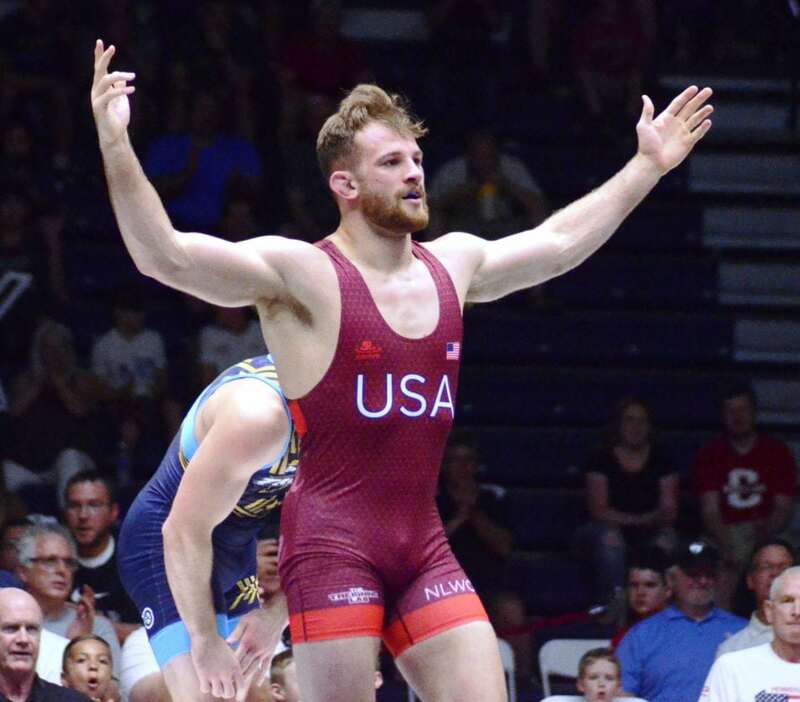 STATE COLLEGE – For David Taylor, ceding the first takedown in the first match of his best-of-three Final X series Saturday night against Nick Reenan was a simple math equation. If he scored more the rest of the way, he would win. Taylor earned his first U.S. Senior Freestyle World Team berth by blitzing Reenan two matches to none in the 86-kilogram final. After giving up those first two points, Taylor blanked Reenan, 25-0, winning the first match by technical superiority 13-2 in 2:32 and the second, 12-0 by technical superiority in 2:46. After his second win, Taylor was interviewed on the raised mat. He promptly plucked the microphone from his interviewer and addressed the crowd, thanking them for their support and, ultimately, leading a charged Rec Hall gathering in a rousing “We Are! Penn State!” cheer. Five other men’s and women’s world team members were decided, as well. At men’s 65 kilograms, Logan Stieber emerged victorious in a battle of Buckeyes. Stieber had to gut out an 8-8 criteria win over Joey McKenna in the first matchup and then cruising to an 8-0 win in the second bout. At men’s 79 kg., Kyle Dake defeated Zahid Valencia two matches to none, but it was a battle in both matches. Dake showed otherworldly defense in the first bout, using two takedowns for a 4-0 win. In the second, each wrestler turned up the intensity and the pace. Dake rallied from a 2-0 first-period deficit, using a four-point takedowna and exposure to pull out a 4-3 win. On the women’s side, three-time world champion Adeline Gray nailed down her eighth world team berth by dominating Kori Bullock at 76 kg. Gray won 10-0 in 1:15 in the first matchup and then by fall in 1:04 in the second. At 62 kg., Mallory Velte dropped her first match to Kayla Miracle, 4-2, then won the next two bouts, 4-2 and 7-1. At 72 kg, Erin Clodgo qualified for the world team for a second time, needing all three matches to turn away Rachel Watters. Clodgo sandwiched 4-2 and 4-4 criteria wins around an 8-0 loss in the second match. For Taylor, earning a world team spot was sweet redemption for a post-collegiate wrestling career that hasn’t matched the success on the mat he had experienced as a youth wrestler and then in high school and college. “It’s not always easy. I started winning championships when I was eight years old and I’ve been winning everything since then. There hasn’t been a lot of adversity,” he said. Taylor was a four-time Ohio state high school champion and a four-time NCAA finalist and two-time champion at Penn State. 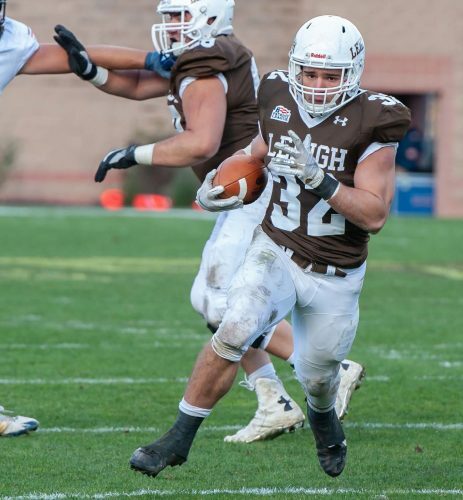 When he graduated from Penn State and transitioned to freestyle wrestling full time, he admittedly struggled. “It’s tough, it’s tough. A lot of times I wondered ‘am I doing the right thing? Should I continue wrestling? It’s hard on your spouse to maintain that kind of dedication to the sport,” he said.